Nick and Kathryn Greiner separate after more than four decades of marriage. 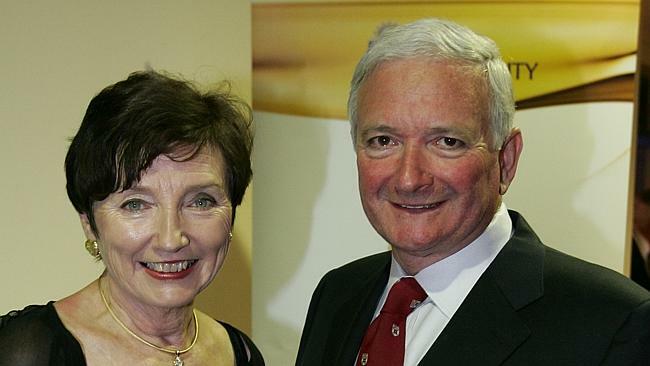 Former NSW premier Nick Greiner and his wife, Kathryn Greiner, have agreed to separate after more than four decades of marriage. Nick and Kathryn Greiner are the latest high-profile couple emerging from difficult negotiations which threatened to lay bare the personal wealth of the one-time premier of NSW. 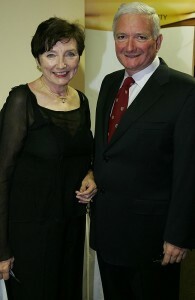 Mr Greiner, the premier and treasurer of NSW between 1988 and 1992, married Kathryn Callaghan in 1970. It is not the first time the couple have separated. The couple, both 66, split up in 1996 with the Budapest-born businessman and politician admitting to having a marital affair. They reconciled and were said to have reconnected over a healthy respect for one another and their commitment to their children. A friend of the former Liberal Party MP said the couple had taken months to arrive at a settlement following their marriage breakdown last October. “It has not been an easy settlement. She has hired an excellent divorce lawyer and has worked hard to try and ensure she is looked after. She did, after all, devote four decades of her life to supporting Nick, who rose to become a very wealthy man,” a friend said. At a recent lunch, Greiner, who sits on a number of boards and owns a magnificent parkside mansion in Lang Rd, Centennial Park, was overheard apologising to a business associate as he rushed away to attend to the latest in a series of difficult meetings with the pair’s divorce lawyers. Undoubtedly making the settlement a good deal trickier was the recent arrival on the scene of Greiner’s new lady companion, whose identity remains a mystery. Judging by the success of some of Sydney’s top-notch divorce lawyers, Mrs Greiner might expect to leave the marriage with 60 per cent of the couple’s assets, which should leave her in good shape. A great many Australian men have found that despite their power and authority in the boardrooms and halls of power, when their marriages go bust they can be reduced to rubble. Word that Solomon Lew’s wife Rosie hopes to walk away from the couple’s 45-year marriage with a settlement worth $300 million made Paul Hogan’s $6.25 million settlement to Linda Kozlowski look meagre by comparison. Not everyone can afford to be as generous as James Packer, who signed away more than $100 million of assets to his second wife Erica Packer — throw in the $50 million Vaucluse house and that’s $150 million — after only seven years of marriage. For some, the threat of financial annihilation is enough to prompt them to delay divorce indefinitely in the hope that the primary breadwinner can build his wealth to a level that provides a better split for both parties. One who is said to be using just such a strategy is Kyle Sandilands. He and his estranged wife Tamara Jaber are yet to divorce, with sources saying the shock jock, whose value on paper appears substantial thanks to million-dollar radio contracts, is delaying formalising their split in the hope of building his personal wealth to ensure the divorce doesn’t wipe him out. “Kyle has never been a savvy investor. Building wealth has never been as important to him as spending wealth,” said an observer. Jaber has suggested as much in her social media posts. Other high profile Sydney men who felt the pinch have included politicians Graham Richardson and Peter Collins and television executive Sam Chisholm while Russell Crowe and estranged wife Danielle Spencer seem to have found a happy still-married balance for the time being, though for what reason is unclear.